Many motorists could be wasting both time and money as they attempt to find the cheapest fuel prices, new research has suggested. 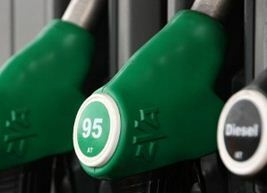 According to a study by Moneysupermarket.com, drivers can save money if they drive up to two miles to a petrol station where prices are 1p per litre cheaper. However, the organisation believes any savings will be cancelled out if a person drives any further in order to take advantage of lower pump prices. Dan Plant, consumer expert at MoneySupermarket.com, said: “Driving a bit out of your way for cheaper fuel might seem like a simple way of cutting costs. Drivers were encouraged to never travel more than two extra miles for every 1p per litre saving. Mr Plant said this “quick two-for-one rule” would help motorists work out whether the detour is actually worth their while. Figures from MoneySupermarket.com show that convenience typically dictates which petrol station people go to, with 83 per cent saying they will fill up at whichever one is easiest to get to. However, 81 per cent said price can be a factor behind their decisions. MoneySupermarket.com believes those drivers who are travelling further to get to a cheaper petrol station might be wasting a total of £528 million every single month.